Ideally located only 15 minutes from Phuket's International Airport and just half an hour from Patong's shopping, dining and nightlife, Anantara Mai Khao Phuket Villas offer deluxe accommodation and excellent facilities. The resort also boasts a fun range of water activities and is just metres from the expansive stretch of Mao Khao Beach, Phuket's most secluded beach. This Phuket accommodation is easily accessed from the Phuket International Airport and is just a short 15 minute drive away. Grand West Sands Resort & Villas Phuket is perfect for those who want to begin their holiday not long after landing in at the airport. 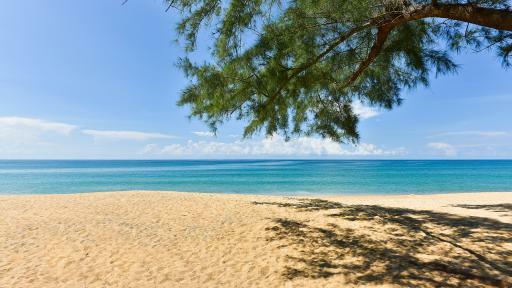 The resort is in the quiet area of Mai Khao Beach and fronts on to the secluded and beautiful sandy beach. Splash Jungle Water Park is part of the resort and is a great place to spend the day and children will be entertained for hours. Couples and families are well catered for at the Holiday Inn Resort Phuket Mai Khao Beach with dedicated rooms and facilities available for all types of travellers. 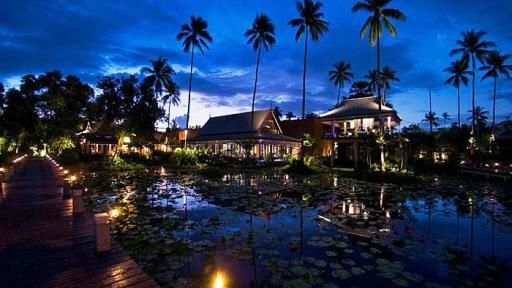 This Phuket accommodation has an array of facilities including a kids club, teen zone, day spa, swimming pool, gym, restaurants, bars, resort centre and also offers Thai cooking classes. 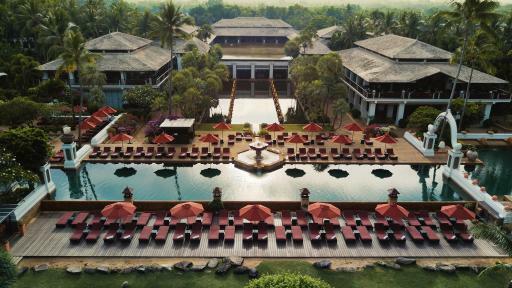 Renowned for its stunning landscaped resort grounds, JW Marriott Phuket Resort and Spa is a secluded island paradise with uninterrupted access to Mai Khao Beach. Featuring majestic rock walls, cascading water fountains and ornately adorned ceilings, the resort also boasts breathtaking views of the Andaman Sea. 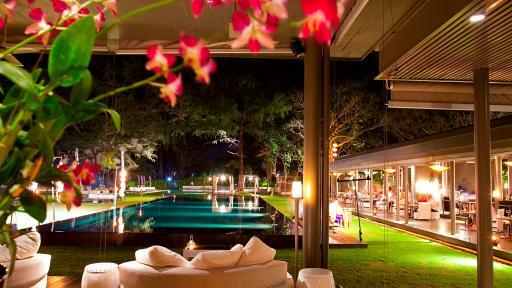 On the pristine, private shores of beautiful Mao Khao Beach rests Maikhao Dream Villa Resort & Spa. Just 15 minutes from Phuket International Airport, the resort is conveniently close to Phuket's main attractions yet is removed from the busy hub of Patong. 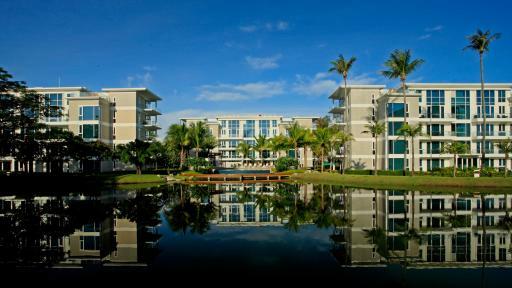 Offering relaxing and luxurious accommodation, the resort is everything you've been dreaming of. An ideal Phuket accommodation choice for families and couples after luxury rooms and villas while spending their holiday in Phuket. 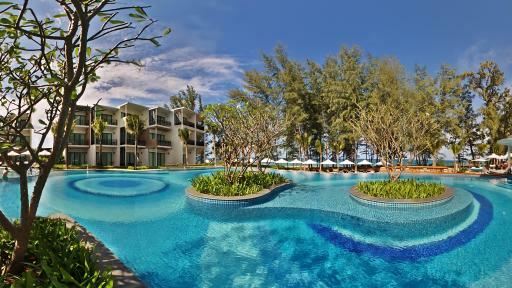 The Renaissance Phuket Resort & Spa is set on Mai Khao Beach just 15 minutes drive from the Phuket International Airport. Laze by the swimming pool or ocean or why not spend some time at the day spa while the kids make new friends at Kids World. SALA Phuket Mai Khao Beach Resort offers the perfect location for a romantic honeymoon, luxurious couples escape or memorable family holiday. This five star Phuket accommodation is a mere 20 minute drive from the Phuket International Airport and boasts a stunning beachfront setting on Mai Khao Beach. The 79 spacious villas & suites offer s comfortable and relaxing place to retreat to, 63 of these rooms offer a large private swimming pool. Guests can relax in their room, snooze by the swimming pool, indulge at the day spa and enjoy Thai & International cuisine.